You don't have to our word for it anymore. 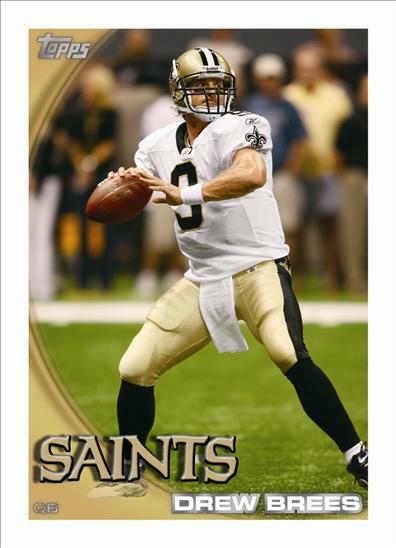 Topps officially announced today it was back in the football game and released a photo today to show what the newest product will look like. Our sources were correct when we wrote about this on Tuesday. This is good news for card collectors when it looked as though they would be left with just one card company creating football product. However, Topps is back in the game and will likely produce some of regular football sets such as the flagship set, Bowman and Topps Chrome. you guys are all over this. I am with you, Football cards are in my interest spectrum (specially packers) but the design lats year set a bar I knew they would not be able to meet again. I mean, same as baseball? damn, you guys are practically the only game in town, a little variety would go a long way. What do you think the chances are of having the same certifiably insane insert system? The re-use of the current baseball design has been going on for years. It just makes economic sense. Now if we can just get a second baseball manufacturer. Doesn't everybody hate when the football have the exact same design as baseball?? I know I do.